Papua New Guinea’s next generation of leaders should take a new approach in seeking to turn around negative trends in law and order, education, and health. Emerging leaders could make bold and innovative policy interventions in key areas to unblock barriers to progress. With its vast resources base and young population, the outlook for Papua New Guinea should be positive, but negative trends — in law and order, health, and education — do not augur well for the future. PNG’s next generation of leaders, under pressure to improve both service delivery and the quality of national institutions, should tackle a limited number of problems first to unblock barriers to progress. Australia, which has enduring interests in PNG’s success, should be creative in supporting emerging leaders, through government, private sector, and civil society links, to help them make a real difference. After 40 years of independence there are reasons to be both optimistic and pessimistic about PNG’s future. A growing middle class has produced a number of talented emerging leaders who are committed to changing the weak development trajectory of their country. They will come into leadership positions in government, in the private sector, and in civil society armed with ambitious strategic plans created by the Somare and O’Neill governments and lessons learned from the experience of their elders. They face a highly complex set of challenges, influenced by seven key trends: weak governance; poor law and order; a failing health system; a mediocre national education system; continuing reliance on the extractives industry; the unrealised potential of subsistence agriculture; and a growing population. A new generation of leaders must build the quality and effectiveness of national institutions. At the same time they will need to demonstrate tangible improvements to the delivery of health and education services and to law and justice. Turning negative trends into positive ones will require some fundamental changes in approach by the next generation of PNG’s leaders. Seeking to solve all of the nation’s problems simultaneously with insufficient resources is unlikely to deliver the kind of progress Papua New Guineans expect. Emerging leaders should concentrate on a few areas where bold and innovative policy interventions could make a transformational difference. Australia, which has enduring interests in PNG’s success, should be creative in supporting the next generation of leaders, through government, private sector, and civil society links, to help them make a real difference. In 2015 Papua New Guinea celebrated 40 years of independence. The anniversary stimulated a great deal of public reflection on the nation’s progress to date and its future. For Papua New Guineans, there are reasons to be both optimistic and pessimistic about the next 40 years. Papua New Guinea’s population of 7.5 million is young and growing. The country has experienced more than a decade of sustained economic growth. Its population is now better connected through an extensive mobile telecommunications network. A vast social safety net created by cultural obligations within communities ensures that everyone has food and housing. A growing middle class has produced a number of talented emerging leaders who will be a force for change in the country. But equally, Papua New Guinea faces some serious challenges. In the last 40 years, progress in raising the living standards of the majority of the population has been extremely slow and arguably is faltering. Current trends — in the economy, law and order, health, and education — do not augur well for either the immediate or medium-term future. Successive leaders of Papua New Guinea have pinned their hopes for realising the development ambitions of the nation on the next significant resources investment. However, as evidenced by the slow progress made in delivering the benefits of the most recent resources boom, relying on revenue from the extractives industry alone is insufficient to make life better for future generations of Papua New Guineans. All of this matters greatly to Australia. Australia was once the colonial power and remains the country’s dominant security, trade, investment, and aid partner. Sean Dorney argues in his recent Lowy Institute Paper, The Embarrassed Colonialist, that Papua New Guinea is worth having as a good, solid, friendly neighbour. Australia’s 2016 Defence White Paper notes that “the security, stability and cohesion of Papua New Guinea contributes to a secure, resilient Australia with secure northern approaches”. Papua New Guinea is Australia’s 18th largest trading partner while Australia is by far PNG’s most significant trading partner. Australian investment in Papua New Guinea is estimated at over $18 billion. But most significantly, Papua New Guinea is and will likely remain the single largest destination for Australian aid. The aid program in 2015/16 is valued at $554.5 million and accounts for three-quarters of all aid to Papua New Guinea. The aim of this Analysis is to identify the key trends that will shape the future of PNG’s development, specifically: weak governance; poor law and order; a failing health system; a mediocre national education system; continuing reliance on the extractives industry; the unrealised potential of subsistence agriculture; and a growing population. The goal here, however, is not to highlight the shortcomings of the current or previous PNG governments, but to identify those issues that need to be tackled in coming years if PNG’s future is to look different from its past. As this Analysis will argue, remaking PNG’s future will require some fundamental changes in approach by the next generation of PNG leaders. This Analysis will also discuss the role that Australia should play, given that it too has a vital stake in PNG’s future. In discussing the trends likely to shape PNG’s future, it would be wrong to give the impression that nothing good has happened in Papua New Guinea in the last 40 years. Papua New Guineans have embraced democratic participation through elections. These are held every five years and contested by increasing numbers of candidates. While many changes of government have been enabled by motions of no confidence on the floor of the parliament, no government in Papua New Guinea has been removed by military force. A free media has endured despite attempts by various governments to intimidate journalists. The country has made important strides in developing trade and investment links with fast-growing Asian nations, including China, and expanded the focus of its relationship with Australia beyond aid. The success of ExxonMobil’s investment in PNG’s liquefied natural gas (LNG) has spurred international investor confidence in the potential of the country. PNG governments have not been short of vision and ambition for their country. In 2009 the Somare government launched Papua New Guinea Vision 2050, a bold strategic framework to guide successive governments in developing Papua New Guinea over 40 years. In 2014 the O’Neill government refined this strategy and introduced the National Strategy for Responsible Sustainable Development, which foresees the “support and engagement of all sectors of society” in building a “truly sustainable and responsible economy”. Nevertheless, if PNG’s efforts to reshape the country’s future are to succeed they will need to tackle seven key trends. Successive Australian governments have been in despair about poor governance in Papua New Guinea, worrying about weak institutions, lack of capacity in the public service, corruption, political instability, ineffective leadership, and a thin civil society ill-equipped to hold government to account. Many PNG and Australian businesspeople and government officials have commented to the author that weak capacity and inadequate skills in the public service are the most critical inhibitors to development in Papua New Guinea. The PNG Government has invested in training, worked with aid partners, the private sector, churches, and non-government organisations to help fill capacity gaps. In the past 15 years the Australian Government says it has spent between a third and a fifth of its total aid budget to Papua New Guinea on improving governance, although the proportion may be even higher as expenditure in all sectors of the aid program involves governance programming. The return on this substantial investment has been poor. The World Bank’s Worldwide Governance Indicators (WGI) show little overall improvement in governance in Papua New Guinea in the period between 1998 and 2014. The WGI measures voice and accountability, political stability and absence of violence/terrorism, government effectiveness, regulatory quality, rule of law, and control of corruption. Despite reform and significant Australian investment in improving the performance of the PNG public service, the WGI show that government effectiveness diminished between 1998 and 2014. Placed in the 32nd percentile in 1998 (i.e. PNG’s government effectiveness was better than 32 per cent of all countries assessed) it fell to the 27th percentile in 2014. The WGI judged the country’s rule of law to be in the 28th percentile in 1998; that fell to the 21st percentile in 2014. Source: World Bank, Worldwide Governance Indicators (WGI). Note: 1999 and 2001 are averages as the WGI were not recorded in these years. A key feature of weak governance in PNG is corruption. Transparency International’s 2015 Corruption Perceptions Index ranks Papua New Guinea 139th in a list of 163. Its score of 25 — which indicates the perceived level of public sector corruption on a scale of 0 (highly corrupt) to 100 (very clean) — has remained constant in this Index for the last four years. That score is borne out by similar flatlining of the WGI assessment of PNG’s control of corruption over the last four years. In the Asia-Pacific, where Papua New Guinea seeks to do more business, only four countries score lower in Transparency International’s Index: Myanmar, Cambodia, Afghanistan, and North Korea — all of which have experienced either civil war or long-term dictatorship in their recent histories. The WGI assessment of PNG’s performance in controlling corruption showed that Papua New Guinea fell from the 19th percentile in 1998 to the 15th percentile in 2014. There are no quick fixes or indeed straightforward long-term fixes to improving governance and building capacity in the public service in Papua New Guinea. In many cases the PNG Government itself appears to have given up on improving capacity of national government agencies. The District Services Improvement Program, introduced by the O’Neill government, has seen devolved funding flow to individual members of parliament to manage the delivery of many services in their districts. After decades of effort building up a national public service, this move has transferred responsibility for improving living standards to politicians and provincial and district governments, with even less transparency and accountability standards than existed at the national level. This approach has significant disadvantages. There is an equal chance of implementation failure, more pressure is put on inadequately resourced local-level governments, and there is more potential for fraud and corruption. And as greater national funding is devolved to local-level governments, less funding is invested in strengthening the capacity and expertise of national agencies, thus threatening the viability of key service delivery agencies. As the national government is the primary employer in the formal sector, the decline of these agencies would have further implications for the welfare of their employees and extended families. The Australian Government has invested heavily in capacity building through the placement of contracted technical advisers in PNG’s public service and through the direct deployment of Australian public servants — mostly from the Departments of the Treasury and Finance — in counterpart agencies in Papua New Guinea. A 2009 review of Australian aid in Papua New Guinea commissioned by the Australian Government found the ‘capacity building through advisers’ approach to be flawed, based on evaluations of the aid program, the WGI, international evidence, and local experience. The review recommended a variety of mechanisms to reduce reliance on this approach and improve the impact of the technical advice that is still in demand in Papua New Guinea. Australia has adjusted its approach to capacity building but faces challenges in managing political expectations that foreign advisers be more accountable to PNG government ministers. Law and order challenges in Papua New Guinea are intractable. Levels of crime and violence are high and are a major obstacle to economic development. Robbery, assault, and domestic violence are the most commonly reported crimes. Urban centres — notably the capital Port Moresby, the industrial town of Lae, and Mount Hagen in the Highlands — have high crime rates. Disturbingly, the physical features of the business centres and residential areas in those urban centres are security walls. Tribal violence occurs without legal recourse. Many women who are victims of violence face insurmountable challenges to gaining legal redress. Crime trends in Papua New Guinea are difficult to track accurately. A 2014 World Bank report on trends in crime and violence in Papua New Guinea found that the limited literature available to determine crime trends does not rely on “robust empirical evidence”. The report says that two longitudinal datasets — crime data reported by the Royal Papua New Guinea Constabulary (RPNGC) and urban crime victimisation studies — show significant variance in the numbers and types of crimes committed. Under-reporting of crime is common in Papua New Guinea, further complicating attempts to determine trends. What is clear is that overall levels of crime and violence are high in Papua New Guinea compared with crime and violence rates in other countries. The 2014 World Bank report found that crime was increasing in a number of “hot spots” in Papua New Guinea, including Lae, Port Moresby, Madang, East New Britain, West New Britain, Western Highlands, and Enga. Violent crime was growing as a proportion of crimes reported between 2007 and 2010. Property crimes were also increasing in urban areas. The spread of firearms in the country has created further problems with violence. The law and justice sector’s ability to deal with rising levels of crime is constrained by poor performance, funding problems, and capacity weaknesses in the RPNGC. Papua New Guinea has a very low police to population ratio of 78:100 000, compared with 268:100 000 in Australia. The numbers of police have barely improved in the last 40 years. The RPNGC numbered 4100 officers at the time of independence. By 2013 it had grown only 25 per cent to 5724 sworn and 374 unsworn members; at the same time the population had tripled. Papua New Guinea Vision 2050 envisages increasing the police personnel to population ratio from 1:1317 to the UN benchmark of 1:450 by 2050. There is a political commitment to increase police numbers — the 2015 budget allocated PGK15.2 million to recruit 750 new police officers. The current budget crisis, however, will likely mitigate against significant new recruitment or reform taking place in the medium term. A rapid turnover of police commissioners in recent years has also worked against effective management of the police. Meanwhile, spending on private security continues to increase. In 2014, 84 per cent of companies in Papua New Guinea used private security firms. The security service industry is the fastest-growing business in the country — it is estimated to be worth PGK1 billion and employs approximately 30 000 people. This industry fills very obvious gaps created by scarce resources and weak capacity in the RPNGC. However, while private security guards can prevent criminal acts, they cannot take over the role of the police in prosecuting crimes and providing a service for the entire nation. Papua New Guinea has major health challenges. Among the top five causes of morbidity and mortality are those associated with PNG’s climate and environment, such as malaria and diarrhoeal and waterborne diseases. But the top five list also includes vaccine-preventable diseases such as tuberculosis. Immunisation coverage has fluctuated in recent years but is below World Health Organization (WHO) standards. Approximately 30 000 people live with HIV in Papua New Guinea. The maternal mortality rate is very high at 230 per 100 000 live births, more than double the United Nations Millennium Development Goal target set for Papua New Guinea in 2015. The number of people affected by non-communicable diseases, including cardiovascular and respiratory disease, cancer, and diabetes, is also increasing. Non-communicable diseases were responsible for an estimated 44 per cent of all mortality in 2008, up from 37.9 per cent in 2004. Cardiovascular diseases accounted for 21 per cent of this mortality rate, with cancer accounting for 8 per cent, respiratory diseases 5 per cent, and diabetes 2 per cent. Although these challenges are worrying, WHO statistics show that some of PNG’s health outcomes have improved. The overall incidence of malaria declined between 2008 and 2013, with the prevalence of the parasite in the population falling from 18.2 per cent to 6.7 per cent. And there has been a slow decline in under-five child mortality and infant mortality. Still, despite increased levels of health spending by the PNG Government, improved health outcomes have been incremental at best and non-existent at worst. For example, the United Nations Development Program’s 2014 report on Papua New Guinea notes that maternal health is poor and possibly worsening. The report points to Department of Health data from 2013 which showed that the level of antenatal care had declined in the previous three years in all regions except the Highlands and that there was an extreme shortage of skills in the maternal health field. Treating the impact of violence against women and children is a major challenge for the health sector. Papua New Guinea has very low numbers of medical professionals per capita. According to WHO, there are 5.3 nurses and midwives and fewer than 1 doctor per 10 000 people. While some 85 per cent of the population live in rural areas, only 51 of an estimated 400 doctors work outside the capital, Port Moresby. One benefit of a sustained period of economic growth over the past decade has been an increase in the proportion of government expenditure on health as a percentage of total expenditure, rising from 8.7 per cent in 2005 to 12.6 per cent in 2015. Total expenditure on health as a percentage of gross domestic product rose from 4 per cent in 2005 to 4.5 per cent in 2015. This is positive but more needs to be done to improve health outcomes for PNG’s citizens. Churches have long played an important role in delivering health services in Papua New Guinea. They have carved out a niche in caring for the poorest, the most remote, and the most marginalised people and become an integral part of the nation’s health system. Resources companies have taken responsibility for delivering health services to the districts where they operate. Some health initiatives driven by the private sector have delivered impressive results in treating and preventing malaria and HIV. On current trends, improvements in the delivery of health services are possible but based on the investment in doctors and infrastructure required, and the health challenges that the population faces, any improvement will be incremental at best. The average number of years of schooling achieved by adults in Papua New Guinea is four. This is the lowest level in the Pacific Islands region and is comparable to the levels of schooling attained by adults in sub-Saharan Africa. In Fiji, for example, the average is nearly ten years. The current completion rate of primary school in Papua New Guinea is 59 per cent. The policy is a worthy aim and has succeeded in increasing the numbers of children attending school as well as equity in schooling. However, quantity outcomes have been prioritised over quality outcomes. The government has not ensured sufficient numbers of qualified teachers are available to respond to increased demand for primary school education. Better sequencing — investing in teacher training first — could have made this policy more effective. As it stands, more children will be pushed through primary school classrooms but not necessarily emerge with an education that will allow them to continue to secondary school or make a contribution to building the economy. Papua New Guinea’s schooling system has suffered from a number of policy shifts, drastic changes in curriculum, and under-resourcing. A ‘standards-based education’ curriculum replaced the ‘outcomes-based education’ curriculum in primary schools in 2015. The tuition fee-free education policy has imposed significant strain on teachers accommodating very large classes. Teachers and administrators need stability and support to deliver better education to the growing number of children attending school. It is not only primary and secondary schools that need reform in order to deliver higher-quality education. Of the 23 000 students who completed Grade 12 in 2015, only 4700 (around 20 per cent) are continuing with higher education in 2016. Even this number is saturating the capacity of PNG’s universities and vocational training institutions. Papua New Guinea is blessed with a vast endowment of natural resources and a geographic proximity to rapidly growing Asian markets for those resources. But as many developing countries have found, such blessings can also be a curse. Although PNG policymakers are aware of the resources curse, they have been unable to avoid suffering from it. The successful development of the US$19 billion ExxonMobil LNG investment in the PNG Highlands by 2014, ahead of schedule and within budget, has been a boon for both the PNG economy and the country’s prospects of attracting further foreign investment. Although the current downturn in prices has slowed further investment in the extractives sector, the success of PNG LNG spurred interest from Total, a French multinational oil and gas company, which is leading the new Elk-Antelope exploration in Gulf Province. Many of PNG’s emerging leaders themselves benefit from careers in the extractives sector and understand the importance of the sector to the economy. Nonetheless, the socio-economic impact of PNG’s extractives sector has been uneven at best. The resources sector will continue to offer opportunities to skilled university graduates but the majority of these jobs are largely dependent on favourable world prices and are limited in number. Moreover, there is often a sharp downturn in benefits once a project is underway. ExxonMobil’s massive LNG project directly employed 9300 people during the construction phase and 1000 people post-construction. Chinese investment in the Ramu nickel mine provided 5000 construction phase jobs and 2000 jobs post-construction. Source: Michael Cornish et al, “PNG Survey of Recent Developments, 2014-15”, Development Policy Centre Discussion Paper No 41, 13 September 2015. The most recent growth of the extractives sector, due in large part to ExxonMobil’s investment, has coincided with the growth of the non-extractive sector of the economy. Indeed, the latter performed well over the past decade and contributed to the private sector doubling in size. The diversity of this growth was impressive with agriculture accounting for 30 per cent and manufacturing 21 per cent, and building and construction, wholesale and retail trade, transport, and finance and business making up the balance. The Asian Development Bank (ADB) attributes this positive trend to a commitment to fiscal discipline and macroeconomic stability, reduced public debt and favourable external conditions, aided by structural reforms in the finance and telecommunications sectors. The government’s mismanagement of the most recent resources boom and subsequent budget crisis has underlined the risk of its over-reliance on the extractives industry. The government assumed high oil and gas prices would endure and guarantee windfall revenue for many years, which led to excessive government spending before these revenue streams were realised. When prices dropped in 2015, the government lacked sufficient reserves or alternative productive sectors to compensate for the loss of revenue. Foreign exchange controls imposed to maintain PNG’s inflated exchange rate are hurting the private sector and curtailing trade. Commitments to host international events such as the Pacific Games in 2015, the African, Caribbean and Pacific Group Leaders’ Summit in 2016, and APEC in 2018 have put further pressure on PNG’s budget while the government struggles to fund service delivery. The ADB has argued fiscal prudence and macroeconomic stability rather than investment in the extractives sector alone will remain vital to enabling formal sector job creation. The formal sector currently employs about 15 per cent of the population. The informal sector is dominated by subsistence and semi-subsistence activity. In the absence of increased major corporate investments over the next 40 years, formal sector growth will need to come from the development of domestic small to medium enterprises. The World Bank’s Doing Business Survey for 2016 ranks Papua New Guinea at 138 out of 189 countries for ease of starting a business. Successive Lowy Institute dialogues with emerging leaders in Papua New Guinea have identified a range of serious obstacles for young entrepreneurs. These have included difficulties raising capital, the high cost of renting business premises, high utility costs, limited internet access, lack of access to infrastructure in rural areas, safety, and difficulties in sourcing business inputs. Papua New Guinea relies on subsistence agriculture to feed approximately 80 per cent of its population. The rural population’s ability to feed themselves from crops they grow means the country largely avoids the severe hunger problems that afflict much of the developing world. A diet based on subsistence agriculture has also helped Papua New Guineans avoid the growth of diet-related non-communicable diseases such as obesity and Type 2 diabetes that have afflicted their neighbours in Polynesian and Micronesian states (although as noted above, the rates of these diseases are now rising). While the government has focused on enabling opportunities for the extractives industry, it has ignored the very substantial job creation and economic returns that could come from investment in commercialising subsistence agriculture. Source: International Monetary Fund, Primary Commodity Prices Projections. Subsistence agriculture has shown remarkable durability, failing only during periods of extreme drought or frost (as experienced in heavily populated parts of Papua New Guinea in 2015 and 2016). But it is not the panacea for poverty that most PNG politicians believe. The 2009–2010 Household Income and Expenditure Survey shows that PNG’s rural population had a higher incidence of food poverty (28.5 per cent of the population) than the urban population (14.4 per cent). Subsistence agriculture is also highly vulnerable to changing weather patterns. The recent El Niño-driven drought in Papua New Guinea has drawn attention to the vulnerability of rural communities dependent on subsistence agriculture. Successful farmers in Papua New Guinea complain that the younger generation is not interested in tending to family gardens or in commercial agricultural ventures. Increasing urbanisation is in part caused by young people seeking out work in the formal sector in Port Moresby or Lae. The majority of school leavers want the security of a formal job with a secure wage rather than working their land. The population in urban areas, who are for the most part removed from their traditional gardens, buy food from markets, street sellers, and supermarkets. Imported processed foods have become more popular in recent years, in part because a capacity to purchase processed foods is perceived as an indicator of wealth and progress. The majority of Papua New Guineans still benefit from growing their own food but could be contributing so much more to the economy with more investment. Dame Carol Kidu, former Minister for Community Development in the Somare government, believes that “rapid population growth and increasing, unmanaged urbanisation and underlying social breakdown” are the biggest challenges Papua New Guinea faces in the next 40 years. The Papua New Guinea Office of Urbanisation estimates the urban population to be 1.2 million, spread across the three urban centres of Port Moresby, Lae, and Mount Hagen. The population of Papua New Guinea was recorded at 7.3 million in the 2011 census, a 40 per cent increase since the previous census in 2001 and a 160 per cent increase since the estimated population of 2.8 million at the time of independence. When he launched PNG’s National Population Policy, Charles Abel, Minister for National Planning, estimated the population would be 30 million by 2050. Port Moresby’s population numbers between 500 000 and 750 000. Port Moresby benefits from a high level of infrastructure spending, to the frustration of residents of the rest of the country who complain that it is the capital rather than the country that benefits from the resources boom. Although it attracts rural dwellers in search of employment, life in the capital is expensive. The costs of living, particularly in rental accommodation, are high. The growth of settlements is putting pressure on service delivery. Urbanisation presents a complex set of challenges for Papua New Guinea. It offers an opportunity to drive GDP growth and improve human development by benefiting from the concentration of the population. But it also increases the burden on service providers in urban areas as people who move from rural areas no longer have access to their land and become less self-sufficient. Without a serious effort to reverse some or all of these negative trends and make more of the positive ones, PNG’s future looks bleak. It is not just that each of these trends will have a negative impact on the country, but that the trends are mutually reinforcing. By 2050 PNG’s population is likely to be around 30 million people. A young and growing population is not necessarily a bad thing: harnessed in the right way it can be a real boon for a developing country economy. But it will also place considerable demand on both PNG’s natural resources and its national infrastructure. Without substantial investments in commercialising agriculture, subsistence agriculture will struggle to meet the population’s food needs, leaving aside any impact of climate change. This could in turn result in increased conflicts over land in rural areas, exacerbating PNG’s law and order challenge. The result will be a growing need to import food, including a continuation and perhaps strengthening of the current trend towards the importation of processed foods. A growing need to import food will, in turn, have an impact on the incidence of non-communicable diseases such as cardiovascular disease and Type 2 diabetes as has been the case in other parts of the Pacific. Communicable diseases will increase, including vaccine- resistant strains. In general, the health system will struggle to cope with the increased population, particularly outside urban centres. Against this, however, as broadband services expand, improvements in telehealth services will probably improve some outcomes in rural Papua New Guinea, making it easier for health professionals to diagnose and treat patients. The use of mobile phone medical apps will also likely increase, improving the storage and transmission of medical records, including evidence of vaccinations. More Papua New Guineans — and, importantly, more girls — will go to school as the nation seeks to realise the ambitious objectives for improving access to education set out in the Vision 2050 framework. But this is unlikely to have a significant impact on educational outcomes and skill levels as a growing population overwhelms an education infrastructure that is already struggling. This will mean that even as Papua New Guinea captures new overseas investments in its extractives sector, most Papua New Guineans will not feel the benefits. Nor, indeed, will they be able to participate in other growing parts of the economy that require skills, creating an even larger informal sector in the economy. This will reinforce the trend towards declining law and order. On current trends, the police to population ratio is not likely to increase to the levels envisaged by the PNG Government by 2050 because of budgetary constraints. The performance of the police force is unlikely to improve markedly without significant institutional reform or sustained good leadership. The flow-on effects of declining law and order will be significant, not least economically. Businesses will incur even higher costs to provide for their own security. Poor law and order will raise significant barriers to entry for the creation of small to medium enterprises and dissuade a significant expansion of foreign investment beyond the extractives sector. It will be harder to attract teachers and health workers to troubled parts of the Highlands or other high crime areas. Realising PNG’s full potential as a tourist destination will face serious limits. The resources sector has strong potential and can provide continued economic growth for Papua New Guinea if managed well. This could deliver a number of benefits, including boosts to government revenues, better health and education services for the areas hosting foreign company investment, and a small number of jobs for skilled Papua New Guineans. But growth in the resources sector will also increase the opportunities for corruption. Indeed, the further deterioration in the performance of the public sector will make it more difficult to fight corruption as well as manage many of the other challenges Papua New Guinea will face in the future. The failure to develop robust institutions, establish a credible sovereign wealth fund, create greater capacity in the national public sector and, ultimately, to build a national government which is trusted to deliver essential services will change the nature of the state of Papua New Guinea. Parts of the country will become even more disconnected from the centre. Meanwhile, the position of prime minister will become increasingly powerful. As the ultimate distributor of government funds, the prime minister can ensure the loyalty of members of parliament through payments to them under the District Services Improvement Program. As this program also transfers responsibility for service delivery to the member of parliament in their local area, the prime minister and key ministers can avoid being held to account for any failures to improve essential services. As corruption increases so too will civil society efforts to fight it. Already there are a number of anti-corruption crusaders in Papua New Guinea whose investigations and advocacy are gaining traction with the public. Task Force Sweep, an anti-corruption agency established by Prime Minister Peter O’Neill and later disbanded by him when Sam Koim, its Chairman, investigated the prime minister’s own dealings, was well regarded by the younger generation in Papua New Guinea. Reporting of corruption in the traditional media and on social media platforms is relatively free and will likely continue. PNG’s courts will remain independent and a small number of corruption cases against members of parliament, including cabinet ministers, will continue to be successively prosecuted. All of this will also have consequences for Australia, which, thanks to its geographic proximity, will continue to try to shape positive trends in its nearest neighbour. Papua New Guinea will remain the largest recipient of Australian aid but risks becoming an even more difficult environment in which to deliver aid effectively. The Australian private sector will maintain interests in the resources and finance sector but will be challenged if law and order worsens. Should there be a complete breakdown of law and order, Australia will be expected to step in. The Australian Government has a consular responsibility to protect Australian citizens and businesses affected by a breakdown of law and order in Papua New Guinea. There is also an expectation in the international community that Australia is best placed to respond to a crisis in Papua New Guinea. If Australia were to duck that responsibility, it may well be taken up by others. The geographic proximity of Australia’s Torres Strait Islands to PNG’s Western Province, which plays host to several communicable diseases, means PNG’s health challenges may also become Australia’s health challenges. More than 160 people in a population of 15 000 on Daru Island, the closest point to Australia, have already developed drug-resistant tuberculosis — the highest rate in the world. On current trends this risk is only likely to grow. 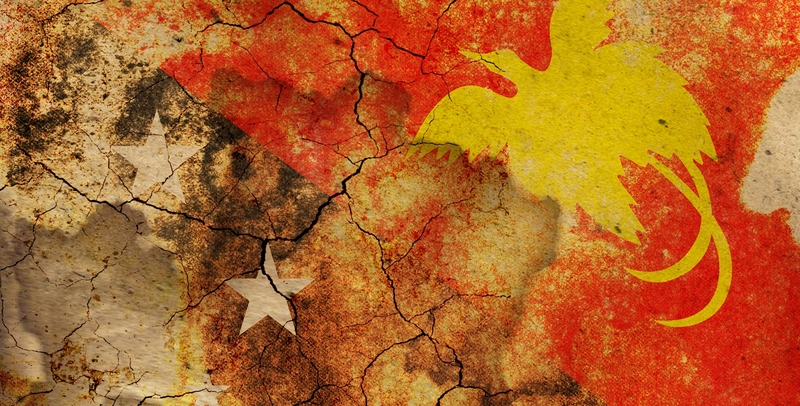 Australia needs a strong Papua New Guinea to contribute to regional peace and prosperity in the Pacific Islands region, including through showing political leadership in the region. Slow progress in development and poor law and order will distract from and undermine the PNG Government’s ability to project its influence internationally over the long term. If Papua New Guinea does not fulfil its promise, it will mean a significant lost opportunity for Australia. The development of a more prosperous middle class, for example, could benefit the Australian economy — with a new capacity for Papua New Guineans to purchase Australian goods and services, including education services. The scenario outlined above is not inevitable. But it will take a significant effort across all sectors of PNG society, as well as friends such as Australia, to avoid this scenario and reshape the country’s future. It will also be necessary to think creatively about how these challenges are confronted. In the past the tendency has been to try to address all the various challenges Papua New Guinea faces at the same time, distributing limited financial resources all too thinly. The results have been mixed at best. Papua New Guinea’s next generation of leaders will face an extremely complex set of challenges. They have a near impossible task in seeking to strengthen the nation’s institutions. The risk is that, like their predecessors, they won’t make national institutions sufficiently strong and effective to enable progress in development or win the respect of the people. With limits to the numbers of skilled people future leaders will have to draw on, it may be necessary to focus on a number of key institutions, rather than seek to improve the performance of all government agencies. Evidence gathered from successful institution-building in other challenging environments shows that change can be achieved when driven by coalitions of reform-minded mid-level bureaucrats who seek to tackle a limited number of problems rather than trying to transform the institution as a whole. Providing political support to such coalitions will be important. Just as critically, the next generation of leaders needs to make tangible gains in key areas of development, at the same time that they enhance the quality and effectiveness of national institutions. Again, rather than attempting to solve every problem in the country simultaneously, future leaders should pick a few areas where bold and innovative policy interventions can make a transformational difference and unblock barriers to progress. Four areas hold particular promise as potential circuit breakers, and could also help the country tackle a range of negative trends. A new national investment in education: Papua New Guinea needs to improve the quality of its education even as it improves the quantity. The national investment required to deliver high-quality education for all young Papua New Guineans is almost certainly unaffordable. But progress can still be achieved in some areas. A local model already exists. Since 1999 the provincial government of Enga prioritised the provision of quality education services. This has seen high numbers of Engan students qualifying for university entry and obtaining public sector positions. This model involved an investment in teachers and subsidies for families to send their children to school. Partnerships between institutions in Enga and foreign educational institutions have enabled further positive results at the tertiary level. While it may not be possible to replicate Enga’s success on a national scale, the experience of the Engan provincial government demonstrates that prioritising one area of public policy and devoting resources to it can deliver results. Papua New Guinea’s education history also holds another model that future generations could consider. The nation’s first leaders were educated within a network of four national high schools that not only delivered high standards of education but engendered a sense of collective leadership, which itself is vital for nation-building. A new investment in providing the highest quality education at a small number of national high schools could provide new incentives to drive the longer-term expansion of quality education across the country and also guarantee the development of future generations of leaders. This model would mean the best students from across the country would be selected rather than only being available to students whose families can afford to pay. While this model would favour the education of a small group of people over the majority, it may be necessary to accept that in the medium term higher quality education for all is not possible. Indeed, the vast majority of school leavers will not find jobs in the formal sector in urban areas and will need skills to make their lives in agriculture rather than in urban professional settings. A major electrification and telecommunications infrastructure effort in remote areas: PNG’s future leaders can accelerate improvements in health and education by a creative focus on other inputs which will improve people’s lives. For example, by targeting access to electricity by means that are appropriate for rural communities, other options for improving health become available. Hospital and health clinics can treat patients more effectively with a reliable power supply. Likewise, improvements in 3G coverage could enable the spread of telehealth services. Online education options for remote communities become more realistic with both 3G coverage and a reliable power supply. ANZ’s 2015 Insight report, “Powering PNG into the Asian Century”, recommends Papua New Guinea embrace a range of new energy generation and storage technologies, such as solar photovoltaic, micro-hydro, and biomass, tailored to local communities and enabled by targeted private sector investment. Choosing a select number of rural locations that would benefit from tailored investments in electrification could act as a circuit breaker for service delivery and for small business development in those areas. Tailored approaches to improve law and order: Reforming, improving, and expanding the RPNGC to a level that would produce effective performance and results in reducing crime is a near impossible task for PNG’s next generation of leaders. It would require radical reforms and funding on a scale that would not be possible without taking financial resources away from other critical services or a massive external assistance package that ultimately may not deliver the improved law and order that will make Papua New Guinea a safer place to live, do business, and visit. Rather than tackle radical reform, a small-scale initiative to determine the most effective drivers in reducing crime would be a cheaper alternative that could influence future reform. There is international evidence that suggests that targeting ‘hot spots’ in a holistic way can reduce crime levels. A multifaceted initiative which focuses police attention on one high crime location, with support from private security firms to prevent crimes, could have a number of benefits. The state would need to ensure capacity for courts to prosecute criminal cases quickly, deliver medical care and maintain safe houses for women and children who are victims of domestic violence. The provision of rehabilitation programs for minor criminals, and education or work programs for young people who are identified as likely to commit crime in this area would also be important. The government would need to engage with private sector partners to deliver such an initiative but as the private sector has a vested interest in improved law and order, it might be possible to negotiate pro bono assistance for such a project. A major effort to develop and commercialise subsistence agriculture: Growing the formal sector to create jobs for the increasing population is a major challenge. As urbanisation increases, formal sector employment struggles to keep up. Efforts and investment in job creation would be better focused on assisting subsistence farmers to commercialise their activities. Agricultural expert Michael Bourke argues that Papua New Guinea has good food security that has been enhanced by changes in subsistence agriculture and access to cash income. He believes improvements in subsistence food production and better access to markets to increase cash income for the poorest rural dwellers is the most effective way of guaranteeing food security into the future. The next generation of leaders should focus on strategic investments in infrastructure (roads, airports, electricity, broadband access) in a number of rural centres, rather than predominantly investing in Port Moresby. This will enable better market access and secure supply chains, and encourage private domestic and foreign investment in commercial agriculture. Investments could be enhanced by mobilising external assistance from bilateral donors and multilateral banks for the development of agriculture. Australia’s interest in PNG’s success will endure and even grow over the next 40 years. Apart from its geographic proximity and consequent security relevance to Australia, PNG’s growing population, the growth of its trade with Australia and with Australia’s primary trading partners, its vast endowment of natural resources, its agricultural potential and its expanding regional leadership ambitions mean it will be an important partner for Australia forever. Although foreign aid has been the primary tool for the Australian Government to help Papua New Guinea to date, there are a range of other approaches for engaging with Papua New Guinea. Encouraging the Australian private sector to play a greater role in service delivery in PNG’s health and education systems and in energy generation could result in more efficiencies. There is more the Australian Government can do to address corruption in Papua New Guinea. Working with Australian banks and other financial institutions to prevent the proceeds of corruption being invested or laundered in Australia would make it more difficult for corrupt individuals to send the proceeds of their crime abroad. Providing more assistance to PNG investigators would help ensure more cases are heard in court and legal consequences felt. The Australian aid program supports vocational and technical training in Papua New Guinea and scholarships for postgraduate study in Australia. The Australian Government could do more to support higher education in Papua New Guinea, including through offering scholarships for undergraduate study in Australian institutions. This would relieve pressure on PNG universities and allow them time to focus on enhancing the quality of their teaching. While the Australian Government of the day has to deliver aid to and with the PNG Government of the day, it also needs to find time to listen to PNG’s future leaders. It is investing in a governance facility to encourage better public sector leadership that will help young public servants. The Department of Foreign Affairs and Trade supports a Dialogue of Australian and Papua New Guinean emerging leaders, hosted by the Lowy Institute. Australia, like Papua New Guinea, hopes the younger generation can put their country on a better development trajectory. Given the frustrations with the impact of the aid program on development to date, the Australian Government will also be hoping that aid can be put to better effect in the future. A more systematic effort by the Australian Government to engage with emerging leaders — in the private sector, civil society, and in government would enable a better understanding in Australia of the dynamics of the younger generation. Many young Papua New Guineans have clear ideas about how they can change their country for the better, and they are highly capable and enthusiastic about contributing to the sustainable development of their nation. Australian aid and private sector investment could be mobilised to help these young leaders implement their ideas and exercise leadership in the near term rather than waiting another 20 years for them to occupy senior decision-making positions. Innovation is sorely needed in Papua New Guinea. Australia can support young policy innovators to drive change, even if only in one region or sector, to produce effective results and inspire a whole generation. Papua New Guinea, with its vast endowment of resources, abundant food sources, and young population should be looking forward to increasing the living standards of its people over the long term. But current trends, particularly in governance, education, health, and law and order, temper optimism about the nation’s prospects. The task of arresting negative trends and improving living standards is a daunting one for PNG’s emerging leaders. When they take responsibility for making decisions for the nation, they will face very similar obstacles to achieving progress that current and previous leaders have faced. They are under intense pressure to strengthen the nation’s existing institutions, but the reality is that these institutions are not capable of delivering the service that Papua New Guineans demand and need. Rather than trying to solve all of the nation’s problems simultaneously, a new generation of leaders should focus on a limited number of problems first. Enlisting the support of business, civil society, and Australian partners, they can make policy interventions that create more opportunities for PNG’s growing youth population and ultimately turn around the nation’s negative development trajectory. I would like to extend my sincere thanks to the alumni from the Lowy Institute’s Australia-PNG Emerging Leaders Dialogue, supported by DFAT and by GE, who inspired me to write this paper. The passion, commitment, enthusiasm and creativity of the PNG participants in the Dialogue offer hope to everyone interested in PNG’s future. I acknowledge in particular the leadership of Serena Sumanop, Founder and Executive Director of The Voice Inc., PNG, and co-chair with me of the Emerging Leaders Dialogue, who has done so much to create and inspire the next generation of leaders in Papua New Guinea. I would also like to thank my Lowy Institute colleagues, Anthony Bubalo, Lydia Papandrea, Jonathan Pryke, Anna Kirk, Nonresident Fellows Sean Dorney and Annmaree O’Keeffe, and interns Steven Paisi, Lawrence Gerry, Chloe Hickey-Jones and Alastair Davis, who have all assisted me in researching, writing and editing this paper. Sean Dorney, The Embarrassed Colonialist, A Lowy Institute Paper (Melbourne: Penguin, 2016), 120. Australian Government Department of Defence, 2016 Defence White Paper, http://www.defence.gov.au/whitepaper/Docs/2016-Defence-White-Paper.pdf. Department of Foreign Affairs and Trade, “Papua New Guinea Fact Sheet”, http://dfat.gov.au/trade/resources/Documents/png.pdf. Papua New Guinea Government, “Papua New Guinea Vision 2050”, https://sustainabledevelopment.un.org/content/documents/1496png.pdf. Papua New Guinea Department of National Planning and Monitoring, “National Strategy for Responsible Sustainable Development for Papua New Guinea”, 2nd Edition, January 2014, http://www.planning.gov.pg/images/dnpm/pdf/StaRS.pdf. Jenny Hayward-Jones, “Papua New Guinea in 2015 — At a Crossroads and Beyond”, Lowy Institute PNG Roundtable Summary Record, May 2015, http://www.lowyinstitute.org/files/papua-new-guinea-in-2015-at-a-crossroads-and-beyond.pdf. In 1999/2000, governance projects in the aid program accounted for 20 per cent of Australian aid spending in Papua New Guinea. In 2009/10, this had increased to 36 per cent. In 2015/16, this has decreased to 23 per cent but is still a high priority. World Bank, “Worldwide Governance Indicators: Country Data Report for Papua New Guinea, 1996–2014”, http://info.worldbank.org/governance/wgi/pdf/c176.pdf. Transparency International, “Corruption Perceptions Index 2015”, http://www.transparency.org/cpi2015#results-table. “Review of the PNG–Australia Development Cooperation Treaty (1999)”, 19 April 2010, http://www.oecd.org/countries/papuanewguinea/45827611.pdf. The Economist Intelligence Unit, Global Liveability Index, August 2015, http://media.heraldsun.com.au/files/liveability.pdf. Human Rights Watch, World Report 2015: Papua New Guinea, https://www.hrw.org/world-report/2015/country-chapters/papua-new-guinea. World Bank, “The Costs of Crime and Violence in Papua New Guinea”, 15 August 2014, http://www.worldbank.org/en/news/feature/2014/08/15/the-costs-of-crime-and-violence-in-papua-new-guinea. David Connery and Karl Claxton, “Shared Interests, Enduring Cooperation: The Future of Australia–PNG Police Engagement”, Australian Strategic Policy Institute, 8 October 2014, 26. Papua New Guinea Government, “Papua New Guinea Vision 2050”. World Bank, “The Costs of Crime and Violence in Papua New Guinea”. Pacific Islands Report, “Security Services Fastest Growing Industry in Papua New Guinea”, 15 May 2015, http://pidp.eastwestcenter.org/pireport/2015/May/05-15-10.htm. United Nations Development Program, 2014 National Human Development Report: Papua New Guinea, 42, http://hdr.undp.org/en/content/papua-new-guinea-national-human-development-report-2014. Australian Doctors International, “PNG Health Statistics”, http://www.adi.org.au/health-in-png-2/png-health-statistic/. World Health Organization, “Global Health Observatory Country Views: Papua New Guinea Statistics Summary (2002 — present)”, http://apps.who.int/gho/data/node.country.country-PNG?lang=en. United Nations Development Program, “Table 1: Human Development Index and its Components”, in Human Development Report 2015 (New York: UNDP, 2015), http://hdr.undp.org/en/composite/HDI. United Nations Development Program, 2014 National Human Development Report: Papua New Guinea, 50. Rowan Callick, “Diverse Nation ‘Example to World’”, The Australian, 16 September 2015. Grant Walton, Anthony Swan and Stephen Howse, “Papua New Guinea’s Tuition Fee-Free Policy: Is it Working?”, DevPolicy Blog, http://devpolicy.org/pngs-tuition-fee-free-policy-is-it-working-20141210/. Pacific Islands Report, 5 February 2016, http://pidp.eastwestcenter.org/pireport/2016/February/02-05-05.htm#.VrQQ9HudBg8.twitter. World Bank, World Development Report 2013: Jobs, http://siteresources.worldbank.org/EXTNWDR2013/Resources/8258024-1320950747192/8260293-1322665883147/WDR_2013_Report.pdf. Asian Development Bank, “Pacific Economic Monitor Midyear Review”, July 2014, http://www.adb.org/sites/default/files/publication/42675/pem-july-2014.pdf. World Bank, Doing Business 2016: Measuring Regulatory Quality and Efficiency (Washington DC: World Bank, 2016), http://www.doingbusiness.org/~/media/GIAWB/Doing%20Business/Documents/Annual-Reports/English/DB16-Full-Report.pdf. World Bank, “Pacific Islands: Non-Communicable Disease Roadmap”, 12 July 2014, http://www.worldbank.org/en/news/feature/2014/07/11/pacific-islands-non-communicable-disease-roadmap. United Nations Development Program, 2014 National Human Development Report: Papua New Guinea, 30. ABC Radio Australia, “Founding Fathers Reflect on PNG Independence and the Challenges Ahead”, Pacific Beat, 16 September 2015, http://www.abc.net.au/news/2015-09-16/founding-fathers-reflect-on-png-independence-and/6779324. Paul Jones, “Managing Urbanisation in Papua New Guinea: Planning for Planning’s Sake?”, Working Paper Series Two, No 33, Alfred Deakin Research Institute, file:///wps+33w.pdf. PNG National Statistics Office, “National Population and Housing Census 2011”, available at http://www.nso.gov.pg/index.php/population. Isaac Nicholas, “National Population Policy Launched in PNG Parliament”, Pacific Islands Report, 19 February 2015, http://pidp.eastwestcenter.org/pireport/2015/February/02-19-02.htm. Paul Jones, “Managing Urbanisation in Papua New Guinea: Planning for Planning’s Sake?”. Eric Tzolek, “Tuberculosis Outbreak in Papua New Guinea Worsens, as Health Workers Plead for Promised Funding”, ABC News, 11 January 2016, http://www.abc.net.au/news/2016-01-11/png-authorities-fail-to-deliver-tuberculosis-funding/7078144. Creative Associates International, “Advancing a Holistic, Balanced Approach to Citizen Security”, http://www.creativeassociatesinternational.com/citizen-security/. R Michael Bourke, “An Overview of Food Security in PNG”, in Food Security for Papua New Guinea, eds RM Bourke, MG Allen and JG Salisbury (Canberra: Australian Centre for International Agricultural Research, 2001), Proceedings of the Papua New Guinea Food and Nutrition 2000 Conference, PNG University of Technology, Lae, ACIAR Proceedings No 99, http://aciar.gov.au/files/node/306/0001pr99chapter1.pdf. Photo by Flickr user AK Rockefeller.